Brooklyn Nets owner Mikhail Prokhorov on Thursday completed the sale of a 49% stake in the NBA franchise to one of the founders of Chinese e-commerce titan Alibaba, the NBA franchise announced in a statement. The Nets said Russian billionaire Prokhorov would continue to be the controlling owner of the team, and there would be no changes in the day-to-day management of the franchise following the sale to Joseph Tsai. 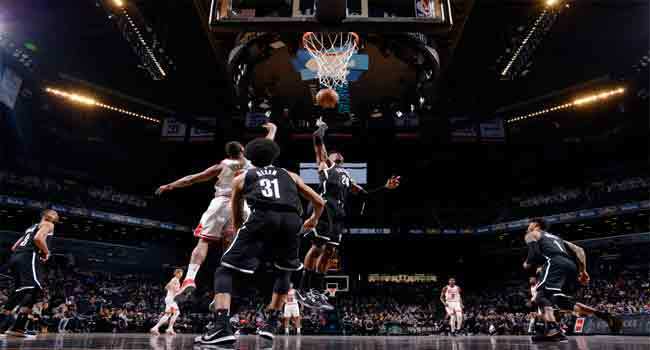 No figures were revealed in the statement, but reports have valued the Nets at around $2.3 billion. “It was important to us that we choose a partner who shares our commitment to the highest standards as we create a truly wonderful NBA franchise,” Prokhorov said. Tsai, who described himself as a lifelong sports fan, said he hoped to help expand the Nets brand across the globe. “Basketball is a global sport and the NBA is one of the most recognized brands in the world,” said Tsai, a Taiwan-born Canadian citizen. “I am excited about the NBA’s international growth prospects, and hope to play a part in bringing the NBA and the special character of the Brooklyn Nets to fans around the world,” he added. Tsai co-founded Alibaba in 1999, and has an estimated net worth of around $9.7 billion according to Forbes. The Nets said Thursday’s deal included an option for Tsai to purchase further shares of the team in 2021 which would give him a controlling interest in the team. The share sale does not include the Nets home of the Barclays Center, which will continue to be wholly owned by Prokhorov’s Onexim Sports and Entertainment group. Completion of the deal comes after the Nets finished the 2017-2018 regular season in 12th place in the Eastern Conference standings, outside the playoff berths with a record of 28-54.